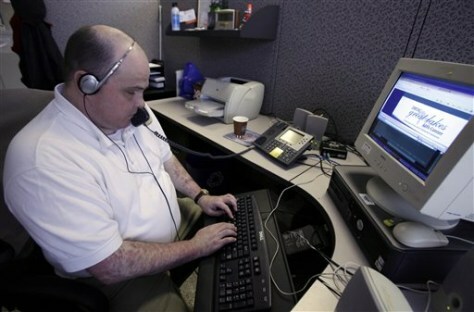 Peter Berg, 43, who lost his vision to diabetes in his 20s, works at his office in Chicago. Using software that reads content to him, he can surf websites for work, check Facebook and pay his bills online. But he hit a wall while trying to set up an account on a popular website that allows electronic money transfers. "You needed to click on something, and it wasn't identifiable to the screen reader," said Berg, who provides technical assistance about the Americans with Disabilities Act.